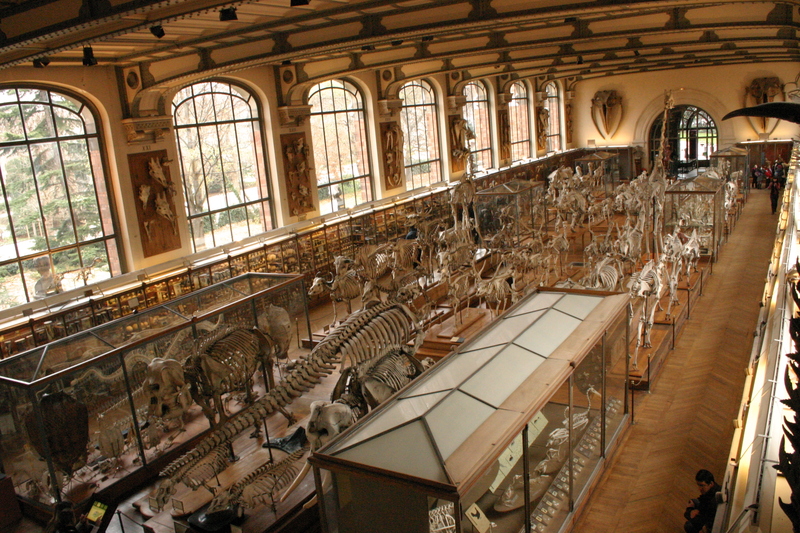 Almost hidden on the grounds of the Botanical Gardens is a very interesting museum: The Gallery of Comparative Anatomy and Paleontology. 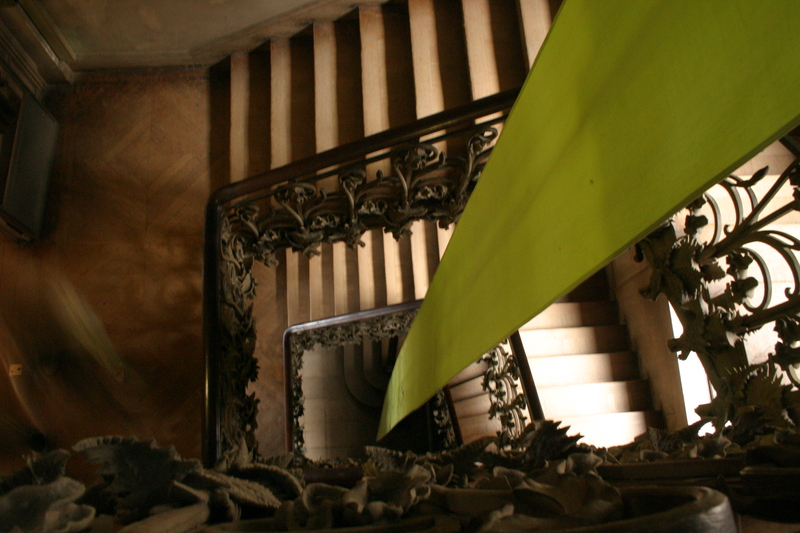 The architect, Ferdinand Dutert, was one of the forerunners of Art Nouveau, and this is clear when looking at the beautiful staircase and the balustrades. The goal of the museum is to display their collections while preserving the spirit of the 19th Century museum concepts. If you can manage to ignore the hordes of schoolchildren, this is a wonderful place to escape to, and showed me something of the real “cabinets of curiosities” that one reads about in old novels. Mark Dion’s exhibition “A World for the Spoiling” at the In Situ gallery on the left bank, drew direct references to this 17th and 18th century phenomenon of curiosities showcased in front rooms. 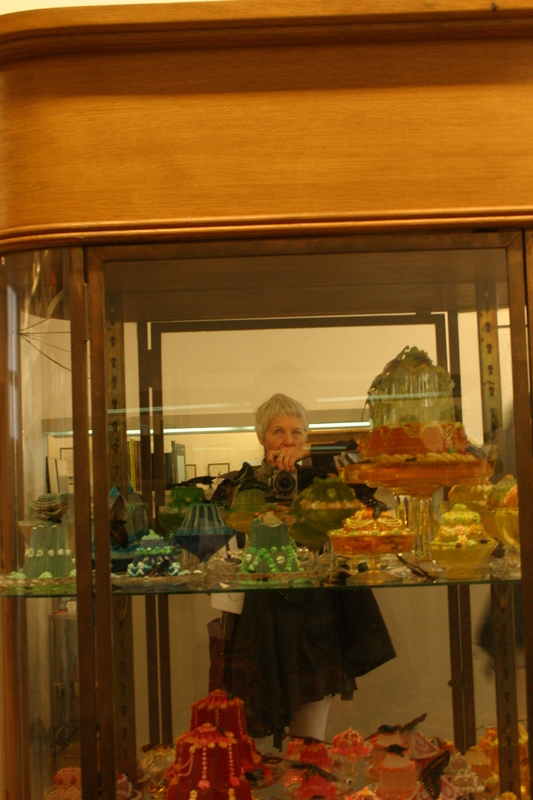 The first work as we enter is an art deco display cabinet filled with resin “pastries” of all colours. The pastries were made from 19th century jelly molds, and a few of them have insects inserted in the resin, as if trapped in the sticky sweets. This is a vanitas, without the human skull. 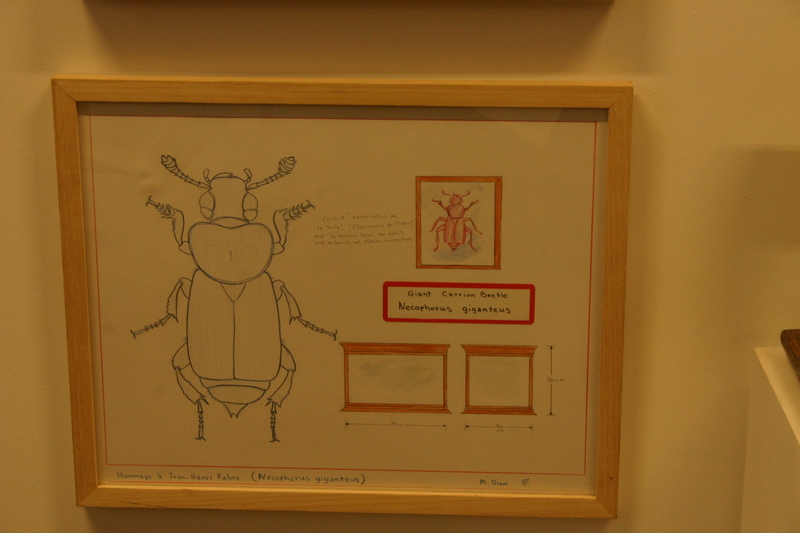 On the wall we find his drawings, done in a way strongly reminiscent of museum studies, and suggestions of how a person could arrange their own cabinet. In another cabinet we find plasticine and playdough objects, imaginative objects that represent shells and bones, the sort of items included in such a cabinet. Dion mentions Jacob Marperger, who wrote “die geoffnete Raritaten – und Naturalien-Kammer”. Dion’s work sort of “museumifies” objects, helping the viewer think of his/her own history and collected memories. 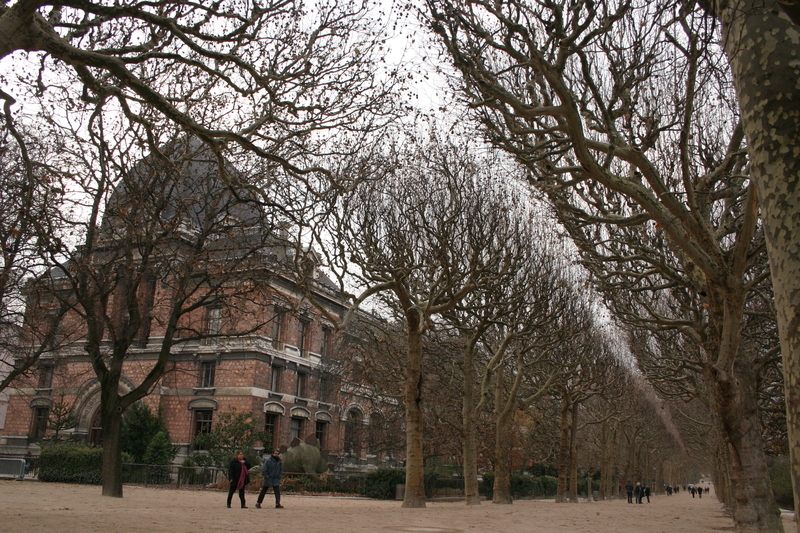 The exhibition is almost melancholy, beautiful-but-not, looking to the past, not the future. Hi Charlotte, hierdie het my nou regtig melancholies gemaak vir my ouma se kabinet in die voorhuis. Ek het hierdie ook aangestuur vir Retha Buitendacht. Haar werk het dikwel insekte as tema. Ek teken more kontrak met Nedbank en trek moontlik dan November by 21ste Laan 323 in, net om die draai van jou. Geniet jou laaste paar dae in lieflike Parys.